Heba Elkholy /26 years old , One of my dreams is to wear a dress and big earrings. If only I can wear this for few minutes and walk around the street, I will be happy that my dream came true and be satisfied to get back to the normal clothes I’m used to wear. 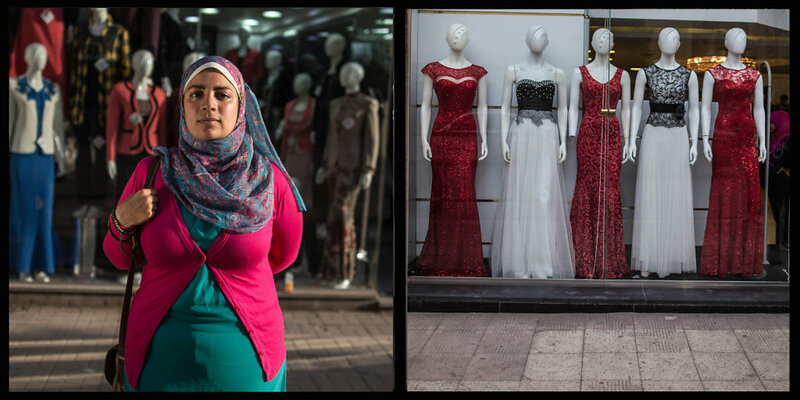 Unfortunately, all the clothes that are available for the veiled girls in the shops are ugly. They make it seem like to wear a “Hijab” Headscarf you have to be untidy and hideous.